Cape Arago State Park south of Charleston and Coos Bay. The rocky shore and Simpson Reef are part of Cape Arago Headland Research Reserve. Wildlife are protected at Cape Arago. Lonely are the Brave. 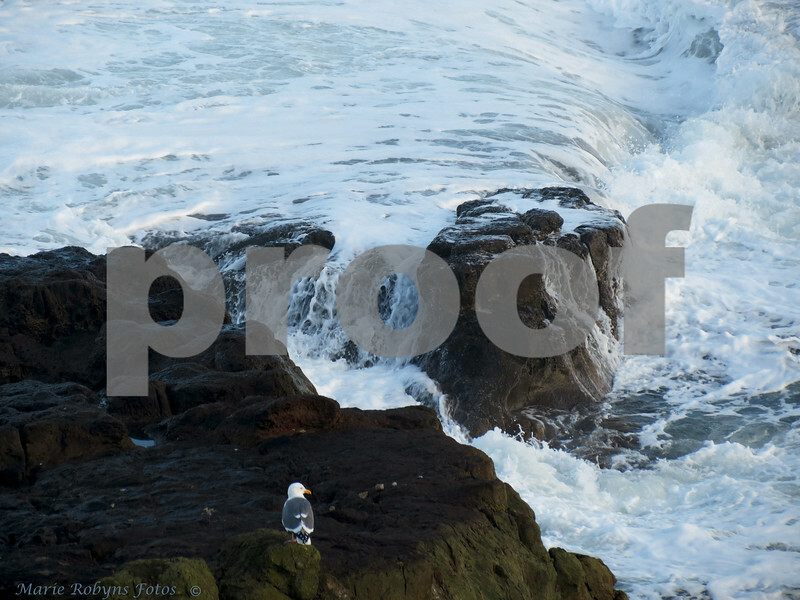 Seagull perched on a rock amid crashing waves and surf at Cape Arago State Park. Photographed February 4, 2012 at 8:46 am.